I hope that all of you are having a lovely spring. Spring is arguably my favorite season for new makeup trends. I cannot get enough of the airy pastels and vivid brights! While I love all of the new M.A.C. and Too Faced spring collections, my wallet hates them. My budget is tight, so I have to be very mindful of all of my cosmetic purchases. With that being said, I have been on the hunt for more budget-friendly options. I scoured the internet for HG’s (holy grails) of the drugstore variety. I found that many gurus were raving about a brand that I had worshipped as a mini-makeup maven: Wet N’ Wild! I had sworn off the brand for years, due to my bad experiences in my youth. Apparently the brand has been revamped and the formulas have been changed. I have to say, they did a good job. They got a girl feelin’ some type a way! My favorites are Purty Persimmon and Cherry Bomb. I have had Cherry Bomb since December, but I wear her frequently, and I love dark colors for Spring. The other two make my teeth look a tad yellow, so I think it may be time to hit that whitening lightening pen, ya feel me? 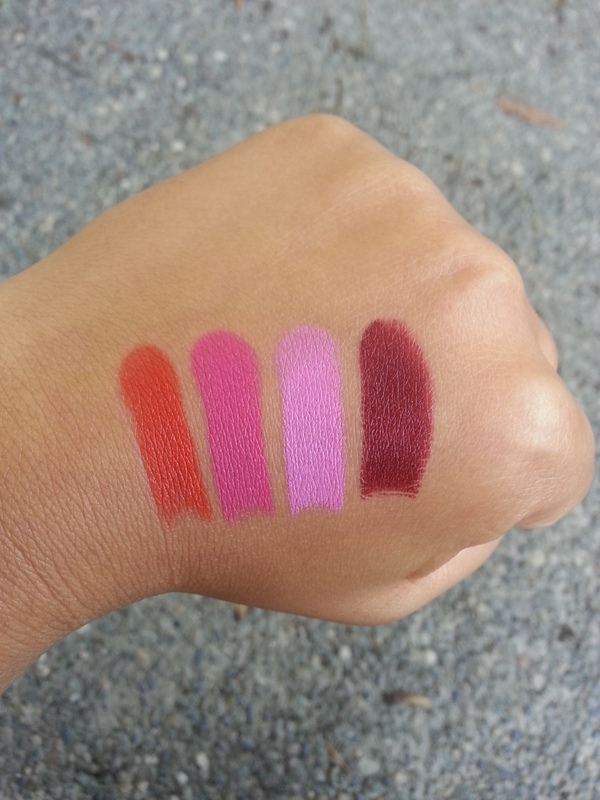 Beyond that, these lip colors are a great value, only $1.99! 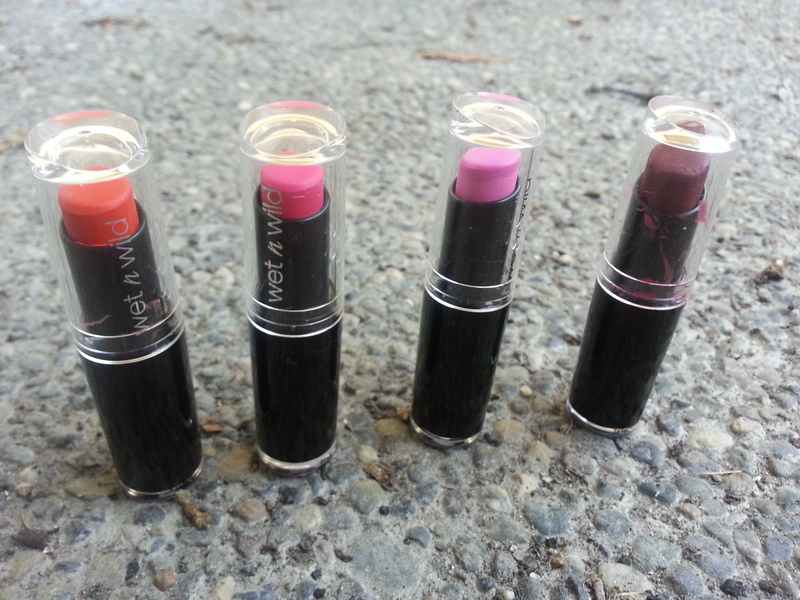 Overall, these lipsticks are like Pokemon: you gotta catch em’ all! Haha, yes I just went there. Step outside of your comfort zone, and try a fun new bright color! 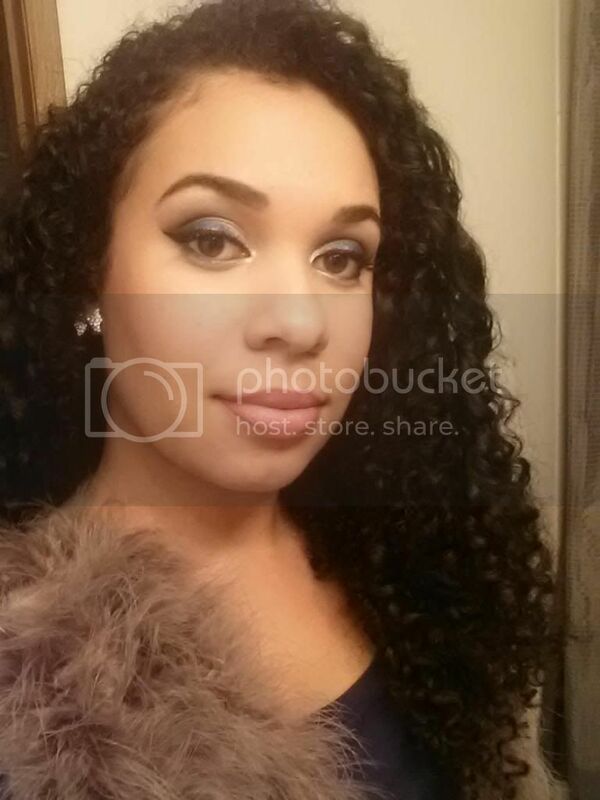 This entry was posted in Budget Beauty, Makeup, Makeup Reviews and tagged cosmetics, lipstick, makeup, spring, spring looks, wet n wild on April 25, 2014 by Simone. Hi, I'm Simone! I obsess over all things beauty, nails and hair related. Welcome to my blog!